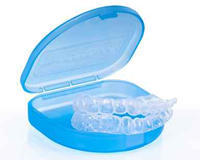 Invisalign® is the orthodontic alternative to braces. Instead of wearing fixed brackets, Invisalign offers a series of clear, removable aligners that straighten your smile gradually over time. Call today to schedule a consultation with Dr. Butterworth to see if Invisalign is right for you! Dr. Michael R. Butterworth Family Dentistry in Dagsboro, DE want you to be able to get the smile you've always wanted! Ask us about our financing options today! No Drill, No Shot, The New Dentistry! As many of our patients are aware, our office is proud to feature dental lasers. The technology is safe and reliable.Dr. Michael R. Butterworth is ready to serve all of your family's dental needs. Request an appointment today! Love going to this dentist! "Dr. Butterworth and his assistant explained everything they were doing as they did it. Dr. Butterworth has an extremely gentle touch- I didn't even feel the shot for the novocaine. Great results that look great too. Thanks, All of you!" "Love my hygienist. The staff is very professional and friendly. I am a long time patient and would recommend this practice to everyone." "When I moved to DE from DC I left my dentist of 30 years. Frankly I did not think I would ever find suitable replacement in DE. But whoa, wait a minute, I think Butterworth is the best ever! Really nice office staff and excellent communication and use of technology."